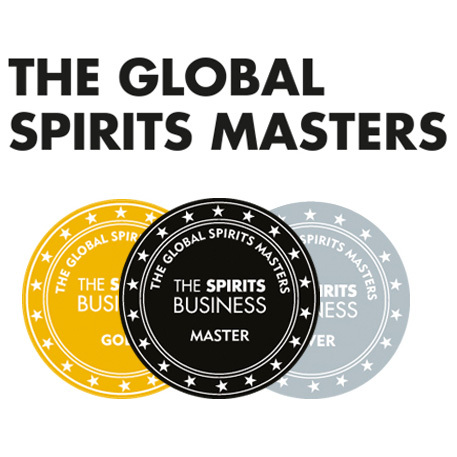 Bottling new make spirit – crime or street smarts? It has been over a year now since we last hosted a Whisky Round Table session. Some people left, others have joined during that time. The questions, we feel, got a bit deeper, more serious at times. And WRT seems to be on the up again. Thanks to all who responded and hope the discussion will flow on. The Question: In recent years we’ve seen a good few releases of not-quite-whisky-yet or spirit-that-dares-to-command-a-price. Whether kissed by Quercus Robur tannins for 4 months or just plain clearac, do you think this is something new distilleries or ones with severely depleted stocks should be doing? I’m of two minds when it comes to distilleries releasing the young stuff. I think it’s a great way for new distilleries to generate not only a bit of capital but also wider recognition and a bit of buzz for future products. You get to try a new, young product when it’s young, and if it’s good, you look forward to the matured version. For well-established distilleries, I think releasing un-aged spirit is an interesting way to engage aficionados and let people take a deeper look into their process and product. Being a big Highland Park fan, I definitely salivated a bit over the new make they made available a couple of years ago. However…while I’ve tried relatively few new make/clearac/white dogs in my time, I’ve tried enough to know that they’re not something I’d keep in my cabinet on a regular basis. I’ve never really wanted to sit down next to the fire with a good book in one hand and a glass of clearac in the other. I see these un-aged spirits as interesting experiments or a kind of academic expression to further an education, definitely something worth trying, but certainly not on par with aged expressions. While I understand the financial reasons for doing so, I’d rather not see a distillery with depleted stocks and limited production spend too much time on releasing this young stuff if their intent is to release aged whiskies. Though the intent and target market is a little different, the exception to this might be what we see here in the US quite a bit and that’s distilleries making un-aged or light “whiskies” that are intended to be used in a myriad of cocktail scenarios. Frankly, I can understand the motive behind this move, It’s not easy having to wait at least 3 years from production until a distillery can sell any product, and this drives them to look for such solutions. I do not object to it personally, but I am curious about who actually buys those bottle sized new make or very young whisky. I’ve tasted a few young spirits which did spend a few months in a cask, and was mostly very disappointed with results. I myself can not imagine myself drinking a new make or any spirit as a replacement for my whisky, or as a drink per se. As nice and interesting for a whisky geek as myself to experience the original spirit before the casks did their magic, this is appealing only once or twice for reference and not on a daily basis. the new make is nice, but it’s not my cup of tea. I do have a bottle of HP new make, but find myself reaching for it only when people visit and i do taste some with them , as they display curiosity and it’s my pleasure to let them have a try at that new make (which is btw diluted). One thing that is really weird IMHO is distilleries selling their spirit, at a diluted ABV%. It doesn’t make sense to me, this liquid is cheap and one of the things i look for is to taste the spirit in it’s natural form and not after it was watered down. So, on the whole, it’s fashionable, but really think most whisky drinkers will not opt to buy a bottle. Maybe as a an addition to their collection but not for actual dramming. Especially with new distilleries or re-opening ones, I understand the need to push some of this product out and it’s two fold: A) These distilleries need money and they need it quick. Chances are they’re operating on borrowed funds or have an investment group backing them so money needs to come in so that it can then be pushed out to appease the backers. B) Distilleries need to create a story and and give the consumer a joy ride. 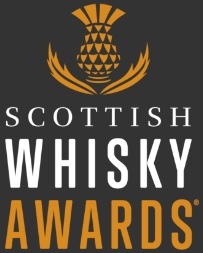 Think of Ardbeg journey with the “young” series, Kilchoman with their seasonal releases and more recently Glenglassaugh with their various spirit drinks on the was to the forthcoming “Revival”. These folks have good stories to tell (and need to rake in some casheesh). While I do find it a bit odd for an established distillery to release new make or not-yet-whisky-spirit drinks, it gets me all sorts of excited! It’s a whole new experience. I personally love new make spirit & white dog. What I do not like, mainly for the established distilleries, are the high price tags on the stuff. So, who is drinking this type of spirit product? My guess is that it’s really targeted at the whisky aficionados but perhaps equally at the “mixologists”. I can’t picture your Jack and Coke guy reaching for this stuff. Lucas, I think you nailed it a bit within your own question – “In recent years we’ve seen a good few releases of not-quite-whisky-yet or spirit-that-dares-to-command-a-price…” The operative word being good. Many of these releases have been just that! In the end, I’m happy this type of spirit is on the market and I wish there were a little more of it. In Japan, we were treated to a series of new spirit bottlings from the new Chichibu distillery, (operated by Ichiro Akuto of Ichiro’s Malts fame) as that operation got going and, in the last month or so, we have also seen a new spirit bottling from the Shinshu distillery, which has just restarted its stills after a long layoff. Whenever I have tasted these spirits, a bit of me has entertained the thought that the spirit is definitely not up to the sort of prices being paid for it. There is the fear that, in a very small way, they are chipping away at the integrity of whisky and blurring the lines that people rely on to ensure their dram is of good quality. On the other hand, these new spirit bottlings haves done two other things: 1. Involve drinkers in the narrative of the distillery; 2. Help support a small distilling firm at the time that it is most vulnerable. I think those two considerations, if we are talking about indy producers that are aiming to eventually produce high-quality malt, outweigh the worries about integrity and over-pricing. To the list of products, you could also add distilleries selling a 3yo the day they got a cask they can bottle as whisky!! I don’t have any problems with this. I guess new distilleries have a lack of cash inflow and if there’s customers for these products, why not sell some. New small distilleries in USA often make multiple products apart from whisky, like Gin or Vodka, and this is also to make some products that can be produced today and sold tomorrow. This will also give fans of a particular distillery a chance to support it, and it’s no secret that whisky drinkers are as much fans as consumers! Would I buy the products ? No. Well, not exactly true, as I had a few times, and also I have bought these products on a lesser scale than a bottle, as I’ve tried these in bars (and also on festivals!). But in general I prefer to drink better stuff and the few bottles I have of young whisky, or pre-whisky tends to sit on my shelf. I simply prefer to drink better stuff. Yes and yes. And even more than that, established distilleries with tons of stock should do this. We think the price point should often be lower, but who are we to begrudge distilleries that are trying to make a run at this business? DIY and craftsmanship have grown in the past several years – being a “maker” has caché. Witness the growth in craft beers, locavorianism, and even “age your own whiskey” kits. The kits are interesting, but even moreso is the ability to buy used wine/whiskey barrels. You can of course use these to age beer, but why not white dog? Who’s to say that your garage or shed doesn’t have more amazing aging properties than the various distilleries popping up in different temperate zones all over the world? And further, who’s to say that you shouldn’t have a choice of what white spirit goes into those barrels? Those of us who fortunate enough to try Ardbeg white dog at a festival can tell you there’s a world of difference between that and white dog from Buffalo Trace. WhiskyParty believes that we should be able to make our own spirit as well, but barring changes to existing laws, we applaud any distillery releasing their unaged products to the world to see what the “maker” culture can do with them. The St Andrews Quaich Society, the whisky tasting club I help to run, provides an interesting test case for the question of clearac. Twice this year the opening dram has been one straight from the still and comments have been mixed. ‘Grappa’, was one; ‘gin’ another. For those who have not had ‘The Works’ treatment at a distillery, and who came looking for the brown stuff, new make is a novelty or curiosity at best. Personally, I adore the stuff. We had Highland Park bring along their new make recently and I found it fascinating, as the genome of the Highland Park single malts we were subsequently drinking, and delicious in its own right. 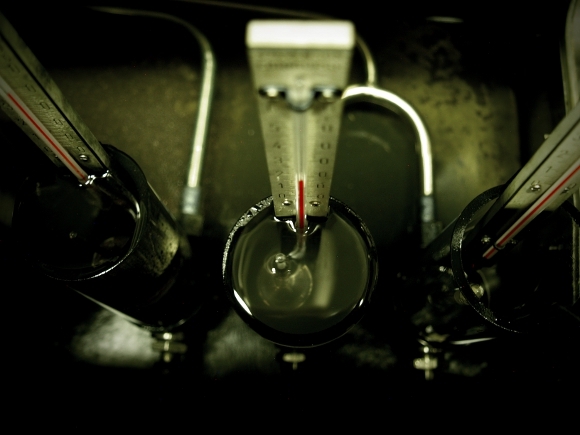 The purity, power and flavour are unique as it signifies the aggregate of all of the processes the distiller can control themselves, at the distillery. Wort consistency, fermentation time, still shape are all described in the new make. However, has it received the attentions of HP’s remarkably particular and expensive wood policy? No, so I should not be asked to pay £40 for 70cls. Therein lies the danger of these new spirits: they are not ‘whiskies’ in law or process, and this last point is crucial because of the exponential economics which maturation incurs. Therefore they ought not to be priced as though they are another expression of, in this instance, Highland Park Single Malt Scotch Whisky. I thought a lot about this topic to see if I could come to a consensus in my own head but I have a lot of mixed feelings about the release of immature whiskies. The best way that I could rationalize or categorize the sometimes contradicting opinions was to say that it depends on the circumstances and reasons for releasing an immature whisky. For a newly opened distillery, I can appreciate the release of younger whiskies so that we can taste how the spirit is maturing and get an idea of where it might ultimately end up once fully matured. For example, I enjoyed being able to taste some of Chichibu’s Newborn releases – it gave me an idea of what the house style of the distillery might be as well as gave me a quick peak into the varying range of different casks available. It helped that they were released at a fairly modest price point. On the other end of the spectrum I do have a problem with newly opened distilleries releasing immature whiskies so that they can get some income to support themselves. Yes, I know that opening a distillery is an expensive endeavor but so does the owner. This is probably very presumptuous on my part, but I think that better financial planning would have prevented the need for this. Raise enough capital so that there is no need to sell immature whisky. As far as distilleries with depleted stock, I’d rather see them selling immature whisky to keep the stills running then to have them go silent. Hopefully it will get them through a rough patch so that production can catch up and they can lay down more whisky to mature properly. This is probably the only circumstance that I am alright with immature whisky being sold just to make some cash. Thanks again for all the responses, guys. I have to say I am a bit surprised. I was half expecting a right hanging of the whole concept but many of you don’t seem to be partial to a dram of the white stuff. I have to say I use new make on a regular basis when ambassadoring for the InterBev brands. All the new make spirits on the portfolio are great and they add a dimension to a vertical tasting. I think no masterclass should ever happen without clearac on the table. What’s more, new make and very young spirit was historically what the Scottish whisky industry was all about, that’s where it all started and that’s how the Scots learned to make great spirit in the first place. So points for research and product understanding value. Of course in some other major whisky producing countries the situation was very different but that’s not the point. The point is, there is a good reason why for almost a hundred years now Scottish distillers have been obliged to mature their spirit for years rather than months. And that reason is quality. I have no problems with whisky distilleries doing other stuff. Not one of the purists myself, after all I wasn’t born in the 1950s. Some distillers make gin, others bake rolls with their grist or make fudge. W&M plants will soon start making tyres and window blinds by the looks of things. That’s all very well as long as the quality of what is being sold is in line with the whisky the country is famous for. Drink clearac for pleasure I would not, nor would I pour my guests a dram of the 4-month-old finest after dinner; I don’t want to see their faces twist inside out after the first sip. Yes, it tells you something about the process, the place and the ingredients but it’s harsh, spirity and very hard to understand. And in the light of this, to me it doesn’t really make sense to release the stuff. I understand cash flow, market penetration and other challenges every new distillery faces. But I love quality above all else in whisky. New make just doesn’t do it for me. This entry was posted	on Tuesday, March 6th, 2012 at 1:08 pm	and is filed under Featured, Musings. You can follow any responses to this entry through the RSS 2.0 feed. Responses are currently closed, but you can trackback from your own site.